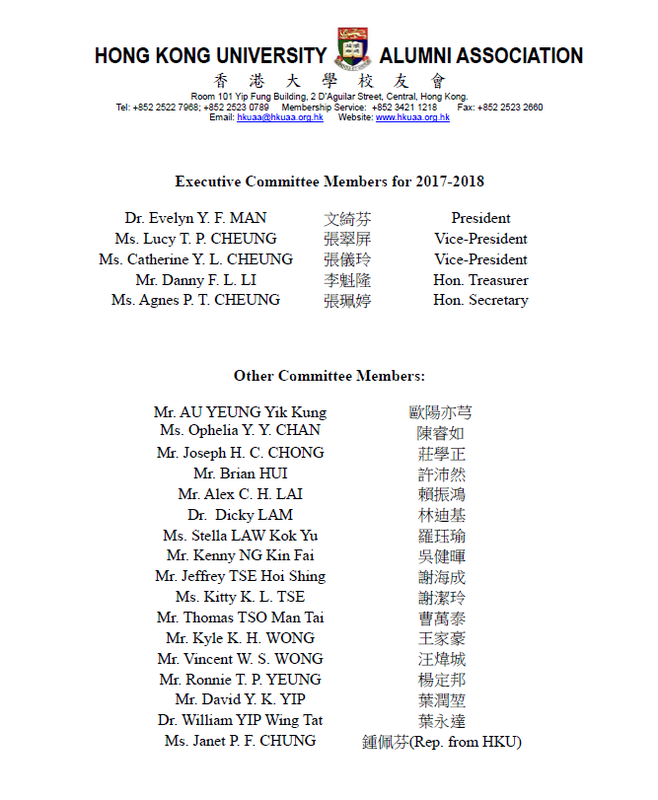 At the AGM of HKU Alumni Association (HKUAA) held on October 10, 2017, a new Exco was formed. Dr. Evelyn MAN was elected as the President of HKUAA. History was made with 3 Presidents from the same MAN’s family: father Dr. Dexter MAN was the President 1973-75 and sister Irene MAN 1991-93. Irene and Evelyn are the only 2 female Presidents of HKUAA. With the new Executive Committee, the President and the 2 Vice-Presidents (Lucy & Catherine) for this term (2017-19) are, for the first time, all females!